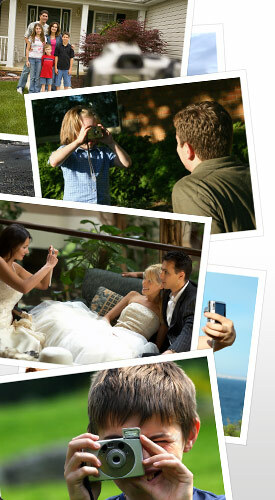 Your digital camera automatically assigns names to your photos. Temporary at best, they refer to the numerical sequence in which you took them. Clearly, renaming each photo will help you find them later. Remember to follow the naming guidelines in the Prepare section. Alternatively, some photo management software will sort and organize your photos for you, based on the key words linked to the photo by dates, people, events and the like. Keep in mind, however, that your digital photo management software may not be supported indefinitely into the future. Also, these software programs often rely on linkages between the photo files and the associated metadata - the extra information you may have entered about your photos - stored in a separate database. Be sure to organize and label photos you print out as well. Typically, organizing by date is a good way to go, yet be sure to document the back of the photograph with "who, where and when" in photo-safe pencil. Many online services will automatically do this for you when you order prints from them, provided that you have entered this information on the website (usually in captions). Note: don’t make your folder and file names longer than necessary, as some software programs have difficulty dealing with the combination of long folder and file names for a particular photo.